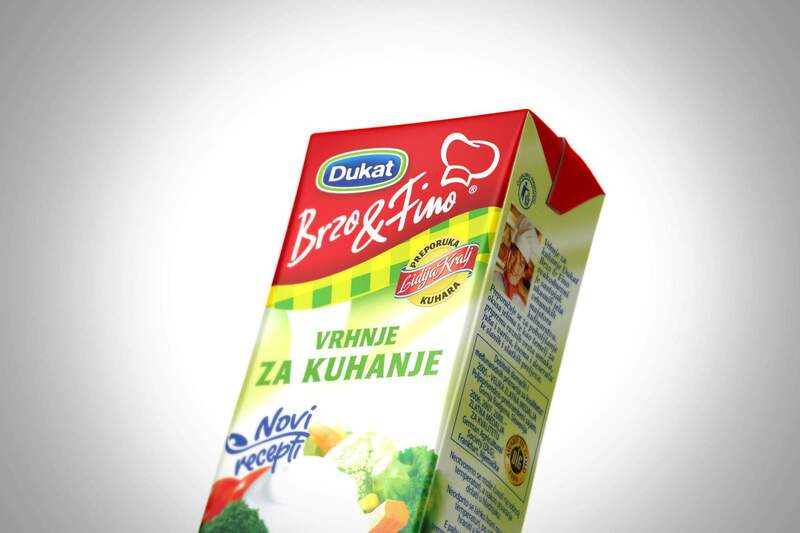 The products within Dukat’s line Brzo&Fino (Quick&Tasty) were to be made to appeal to young working people who wish to cook tasty meals that don’t require long, complicated preparation and present them as kitchen short-cuts that they can use to cook like professional chefs. The design encapsulated the image of the brand as a modern, high quality product with a powerful brand block that included the logo, the logo lines, a red strip and checkered table cloth that is associated with the Dukat brand. The picture of the product itself is appealing and appetizing, just as if it was prepared by a professional chef. 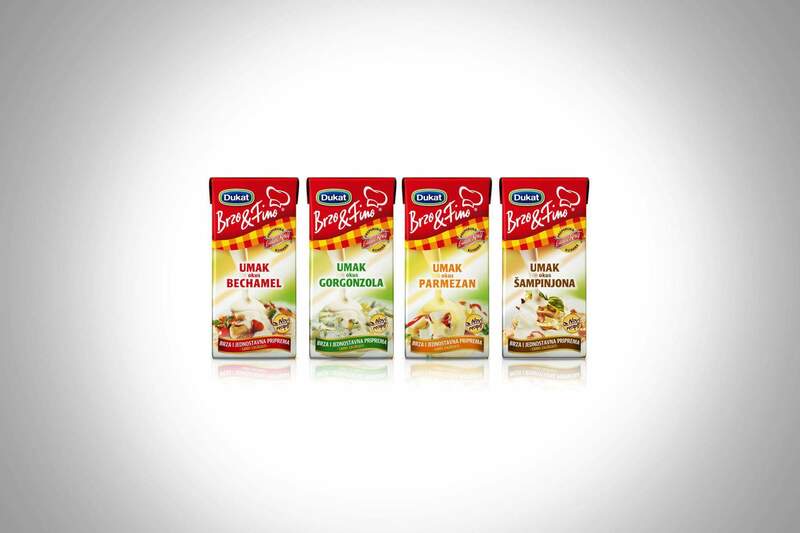 The line is associated with professional cooking and endorsed by well-known chef Lidija Kralj.